Ref: James D Richardson, Looking north down the west side of Queen Street, 22 January 1928, Sir George Grey Special Collections, Auckland Libraries, 4-1721. In Melbourne, he said, the chief constable had noted more misbehaviour on Sundays than on weekdays, because on Sundays the picture shows were closed. Locally made films were also screened in the 1920s, but they were produced with much fewer resources than those available within Hollywood budgets. Leading New Zealand film-maker Rudall Hayward produced six feature films and many one- and two-reel comedies. His 1927 movie The Te Kooti Trail caused the first home-grown censorship controversy when at the request of the Minister of Internal Affairs, Maui Pomare, the censor delayed the film’s release so that Māori MPs and Ringatū Church elders could check it didn’t offend Māori sensibilities. They ultimately changed two of the film’s intertitles. Archives New Zealand have put a photo of the memo instructing the censor to look at the film on their flickr photostream. Ref: Auckland Weekly News, New Zealand natives as cinema actors, 29 September 1927, Sir George Grey Special Collections, Auckland Libraries, AWNS-19270929-40-1. The Te Kooti Trail was based on the 1869 sacking of Mill Farm at Te Poronu, as told in James Cowan’s The New Zealand Wars. It was favourably received at the Strand Theatre’s world premiere, and subsequently toured the country. Ref: Auckland Weekly News, One of the greatest scenes in the film, 29 September 1927, Sir George Grey Special Collections, Auckland Libraries, AWNS-19270929-40-2. 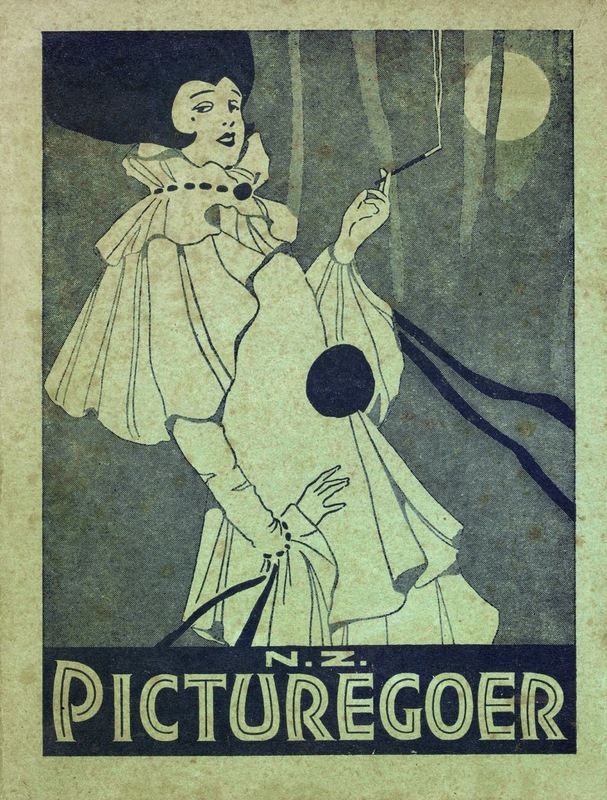 By the end of the 1920s, almost 40 cinemas had opened in suburban Auckland including: The Tudor in Remuera; the Royal in Kingsland; the Delta in New Lynn; and the Star in Papakura. Ref: Wilson Photos, Theatre Royal, Kingsland 4954, 1920s, Sir George Grey Special Collections, Auckland Libraries, 1081-1. 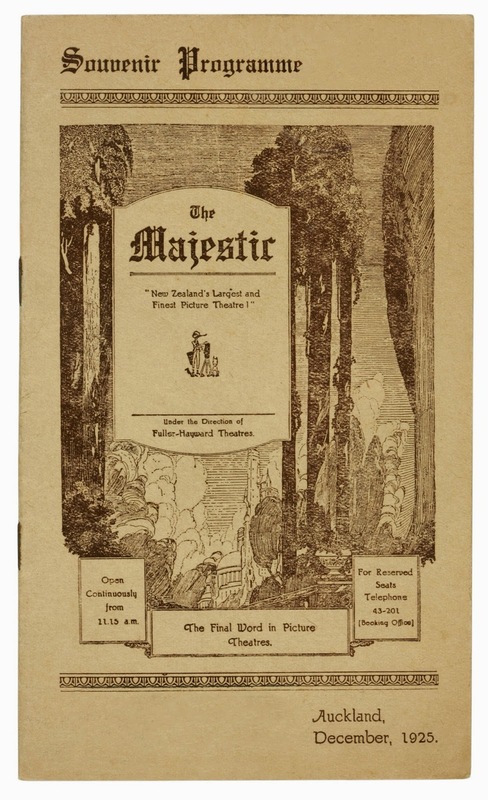 Ref: NZ Ephemera - Souvenir programme for the Majestic Theatre, December 1925, Sir George Grey Special Collections, Auckland Libraries. 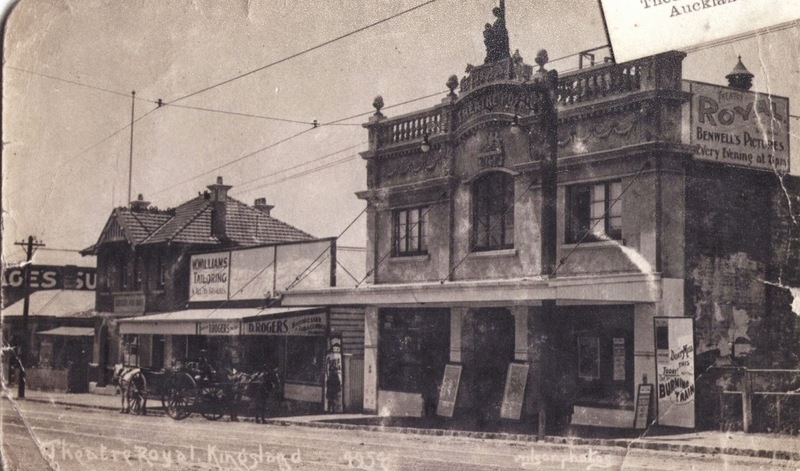 Avondale’s The Town Hall cinema – “Rendezvous of the Western Suburbs, Gayest and Smartest” - advertised free taxi services from the New Lynn Post Office, and held a Jazz Dance Carnival every Saturday night between 10:30pm and 12am. 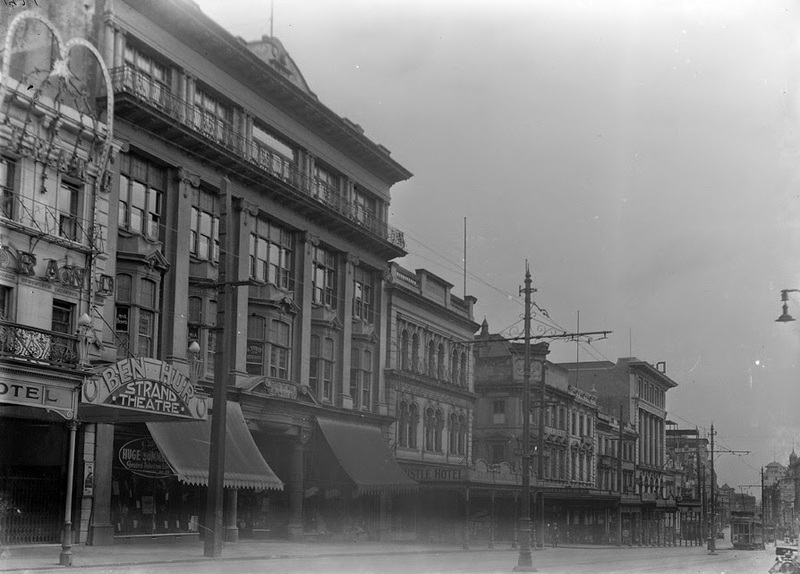 The 1,700-seat Regent Theatre opened on Christmas Eve 1926, during the “silent era”. An evening’s entertainment there began with vaudeville, and the movie followed. Box office hours were from 10:00 am to 10:00 pm, and patrons could book tickets up to six days ahead. 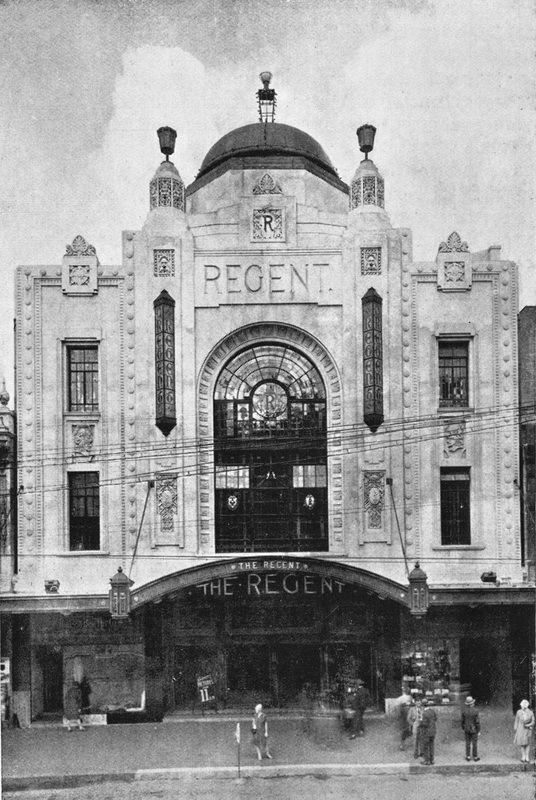 Ref: Showing the Regent Theatre, Queen Street, 1927, Sir George Grey Special Collections, Auckland Libraries, 7-A9771. The Regent and the Strand screened the first “talkies” in Auckland on the same night – 18 April 1929.The St. James theatre debuted ‘talkies’ on Boxing Day that year as well. Later that year the country’s biggest picture palace, the 3,500 seat Civic Theatre, opened on Queen Street. The Civic was exotically decorated with statues of elephants and panthers. 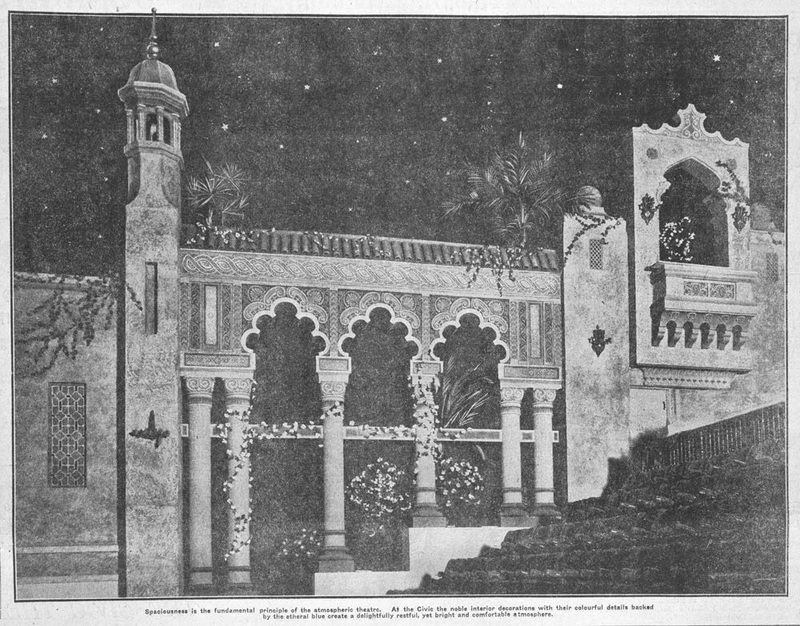 There were minarets and balconies, female ushers wore pantaloons. The theatre’s ceiling twinkled with stars while clouds, produced by a smoke machine, floated by. Ref: Interior decoration of the Civic Theatre, 1929, Sir George Grey Special Collections, Auckland Libraries, 7-A13916. Unfortunately, the Civic opened just as the Great Depression began and audience attendance soon dropped. Owner Thomas O’Brien preferred screening British rather than American films, and this also contributed to lower than hoped-for audiences. In 1932 his business collapsed and he fled to Australia. However, The Civic survived to become one of the city’s best-loved buildings. 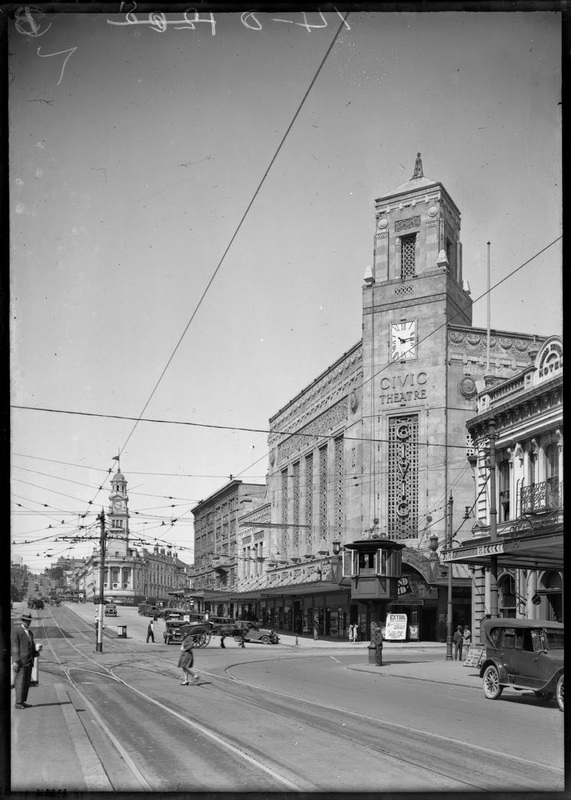 Ref: James D Richardson, Looking south along Queen Street, 1931, Sir George Grey Special Collections, Auckland Libraries, 4-7101. I wondered what the building housing Royal jewelers was originally in Kingsland. Now I know, thank you.